We’re deep now in the holiday season, and it’s a great time to think about gifts for family members. Here are five of our thoughts for gift ideas for students to give to families or for host families to give to their students. Note: We receive small amounts of compensation from purchases made through some of the links in this post. Of course, we would love it if you started with our own e-book, We’d Love To Host an Exchange Student, But …” Our book talks about many of the most obvious miscommunications that can come up in the context of having someone in your home from another culture and whose native language is not your own. We suggest ways to solve problems when issues do arise. There is rarely a one-size-fits-all answer, but “communicate early and often” is pretty close! Get it for your Kindle on Amazon. Berdan, Goodman, and Gertz, A Parent Guide to Study Abroad, published by the Institute of International Education, 2015. Parents back home can be a key factor in a student’s success during an exchange year, particularly in today’s world of instant communications. Stacie Berdan, Allen Goodman, and William Gertz — all experienced professionals in the international education field — walk through a roadmap for parents. Read our review! Rybol, H.E. Culture Shock: A Practical Guide, 2014. In this succinct easy-to-read e-book, Helene Rybol ties together various thoughts relating to what is now a well-known concept. She comes to this topic with a focus that is practical yet comforting, since it calls for practical tips at the same time it calls for hugs and sharing of emotions. You can read our review of Rybol’s book here and of her subsequent book, Reverse Culture Shock, here. These are just a few examples of books on cultural exchange that host parents and students might enjoy; see a longer list here on our website. Amazon Prime Student: There are so many benefits to Amazon’s Prime membership for students! Prime benefits include free two-day shipping on tons of eligible products, unlimited streaming of movies and TV shows, access to hundreds of playlists in Prime Music, and access to unlimited photo storage with Prime Photos. There are also some exclusive discounts and deals just for students. We’ve been members of Amazon Prime for years, and can vouch for the discounts and ease of use. 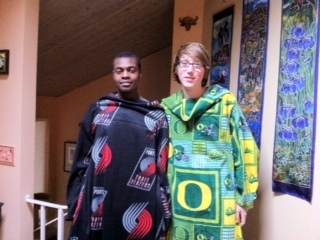 Wearable blankets: About eight years ago, our son Marcus announced he had found the perfect Christmas gift for our exchange student, Alex. It was a wearable fleece blanket. Alex, in turn, had found the perfect gift for Marcus: a wearable blanket! We had a lot of good laughs over that. Portable Phone Charger: Portable phone chargers have come down in price and size, making them a cost-effective and beneficial item for almost item. Parents may end up wanting one for themselves and other teens in the home — just think, no one will be able to say “my phone died” anymore! For a recent summary of some of the better chargers on the market, check this article. Amazon Echo Dot: Ask Alexa to play music, answer questions, read the news, check the weather, and set alarms. Call and message almost anyone hands-free. Stream songs from Amazon Music, Spotify, SiriusXM, and more. This could be a fun gift for your tech-savvy host parent. Warm slippers: I think everyone can use another pair of warm slippers. My own UGGs are just heavenly. You don’t have to buy expensive slippers, though, to keep your host mom or dad’s feet warm — lots of reasonably priced options are out there! Gift card to their favorite store: Students often ask us “what if my host mom/dad have everything? I can’t figure out what to get them!” It can be hard! But perhaps you can figure out where your host mom and dad like to get their clothes, personal items, or gadgets, and you can get them a gift card to their favorite store, restaurant, or coffee shop. Wireless earbuds or headphones : Wireless options are becoming more and more popular. It’s a useful gift, and can be quite handy, even if someone already has a pair — leave one at work or in your backpack! Here’s an article summarizing some of the better wireless headphones if you want to see a review before you buy. Victorinox Swiss Army knife: Gone are the days when a Swiss Army knife was just a knife and a bottle opener. Today you have so many choices it can be overwhelming — anything from the relatively simple “classic” version to one with a dizzying array of tools included. If you buy one for your student, just remind students to pack it in their checked suitcase at the end of the exchange year, and not to put it in their carry-on! A gift we have given to many of our exchange students is a personalized Christmas ornament, often with all our names (and theirs, of course!). Many of our host families and students have also used family photos to make personalized ornaments. 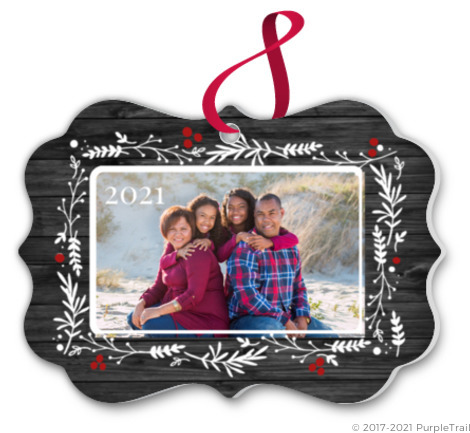 You can find ornaments at most malls with options to personalize any way you want, and you can also find many more options online — it’s almost overwhelming! 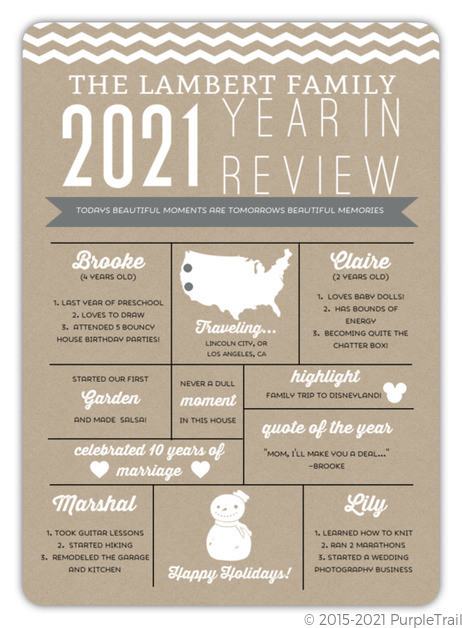 This card is a fun way to update friends and family on what’s happened throughout the year and it’s easy to add information. Everyone in the family can participate putting this card together with their top moments of 2018, memorable family trips, quote of the year, and of course your student’s arrival! We hope the variety of things we have suggested will work for you — or at least get you started. If this gives you your own ideas on what might be a good Christmas, Hanukkah, or whatever gift — then we’ve done our job! Images courtesy of Pixabay, Amazon, PurpleTrail, and Laura Kosloff. As noted: some links on this post are affiliate links and we may earn a small commission at no cost to you. (And we thank you!) We use affiliate links to support our work on our blog and the resources we provide on international exchange. 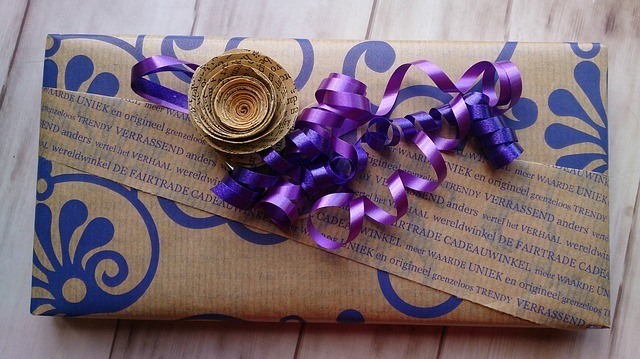 PurpleTrail is a website where customers have the opportunity to create their own custom invitations, stationery, and gifts. We participate in the PurpleTrail affiliate program and we earn a commission if you click through and make a purchase. We also participate in the Amazon Services LLC Associates Program, an affiliate advertising program designed to provide a means for sites to earn advertising fees by advertising and linking to Amazon.com.